Small gifts and stocking stuffers are some of the hardest items to shop for. Small items can carry a high price tag and add up quickly, so we’ve put together a go-to list of the best stockings stuffers for moms, sisters, best friends, or even your kid’s favorite teacher. In other words, we just made your life a whole lot easier this holiday season! Whether you are looking for that perfect last-minute gift to stuff in the top of a stocking or just starting on your Christmas list, this post is full of the best ideas to spoil the women in your life. 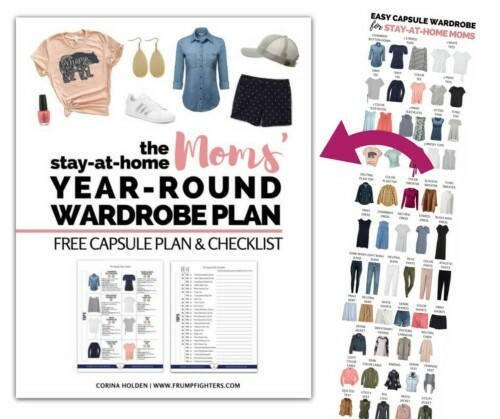 Use this list to shop for your favorite ladies or pass it on to your husband and kids so they can shop for YOU! These may sound boring, but trust me, practical gifts are always appreciated! Bobby pins and hair bands are like pens. You know there are hundreds around, but when you want one, you can’t find any! Everyone can use a basic headband as well, and these are great for quick pulling your hair back in the morning, your evening run, or just a quick hairstyle for a busy day! Any woman will appreciate these! New makeup brushes are a treat and you can find lots of high quality individual brushes online for under $10. Like this powder brush, there’s many options that most of us will use regularly! If you stick to lighter shades and neutrals, nail polish is a fun treat. If in doubt, a good quality top coat will always be well received! Unless you know the lipstick of your receiver’s choice, stick with lip balms or chapsticks. Everyone can always use a good chapstick! I love these lightly tinted lip balms from Maybelline, soft and light! No woman will say no to pampering and bath bombs and bath salts are exactly that! Look for light, natural scents that the majority of people will like. In gold or silver or other neutrals, a basic pendant and statement necklace like these can be worn with many outfits and styles. Socks with a little flair are perfect for peeking out the tops of boots and can be worn all fall and winter! If your recipient leans more toward casual and loves funny gifts then these coffee socks are perfect! If wine or beer is more their style, go check out the other options too! Pick one or pick them all! Scarves, gloves, and hats are all perfect stocking stuffers for this time of year. Stick to neutrals if you’re not sure of their specific taste or pick their favorite color for a pop of fun! The brighter, the better! These stocking stuffers for the woman in your life will make any creative or organized person beam with joy! You can’t go wrong with a bag or purse. Whether a casual and simple tote bag or a dressed up clutch, any gal would be thrilled to find these on Christmas morning! You didn’t actually think I was going to leave chocolate out were you? This may have been the only idea you could come up with, and while it may have sounded boring, chocolate is always a good idea. No woman is going to turn down chocolate in her stocking! To go along with that, extra special food treats are always fun. Teas, flavored water bottle mixes, specialty cookies or snacks = YUM! I was tempted to buy this ring holder the minute I saw it. With room for your stud earrings in the bottom tray and your rings on the succulent this gift is sure to bring a smile to whoever receives it (even if it’s yourself ;)) ! Nail polish a fun stocking stuffer that can range anywhere from a couple dollars and up. This OPI set is high quality and combined with this manicure station would be an amazing stocking stuffer! If you need stocking stuffer ideas for a woman in your life who isn’t super girly, these tech gifts are perfect! All of these are inexpensive but useful items that will benefit anyone with a phone! Portable chargers are perfect to keep in a purse or diaper bag, the camera lense attaches to the phone to create a wide angle lense. The Tile can attach to your keys, phone or any other important item and with a click of the app you can find them wherever they are! The Pop Socket is a trendy attachment for the back of your phone to make holding it (selfies, anyone?!) much easier! Apps and emails might be all the rage but most of us still love writing things down. I use magnetic list pads daily and receiving a pretty one makes each day a little more fun and bright! If your recipient might like an adult coloring book, add these high quality colored pencils too! Tools for the garden or tools for the kitchen, these are all great stocking stuffers for her! It’s a treat to have CUTE tools that you use nearly every day. And there you have it! How will you ever choose with so many awesome options? Whether you are stuck finding something for your mom, sister, bestie or kid’s teacher or just need new, fresh ideas, hopefully a few of these items will be a huge hit and you will win coveted “best gift of the year” award! ;) Happy shopping! Where any of these ideas new to you? Do you have your Christmas shopping all planned out for the amazing women in your life?